“The School of Greatness” is a platform for Howes to help each of us understand and then share our authentic greatness in the world. 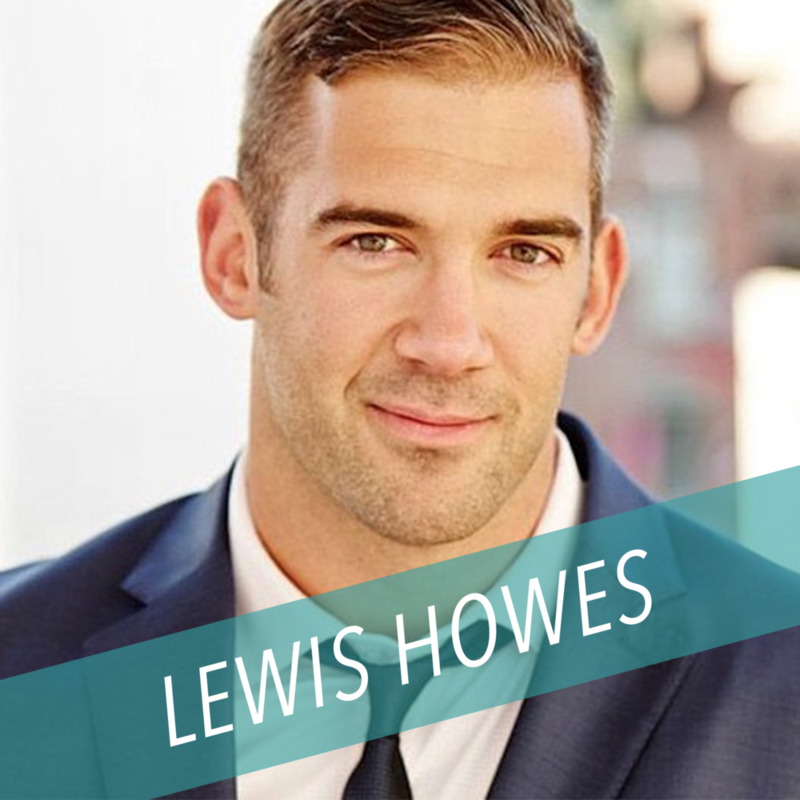 But the entrepreneur, revered by peers and followers alike, says that despite success fueled by personal experience, Lewis Howes, the person, remained behind a mask. It wasn’t a shield or a persona that he maintained to keep people out. Instead, it was a filter for emotions that he—and other men, and arguably, women—have not learned to communicate. In fact, Howes realized that he’d worn a different mask at different points in his life, and while those masks had served a purpose, they also held him back. Recognizing that suppression meant that he channeled his energy into succeeding at sports and in business, Howes also acknowledges the cost for men—and women. “I wrote the book for men,” he explains. “But as I was writing it and going through this, I realized that women are struggling to connect with men because [masks make it] hard to connect and relate. And I wanted women to be able to understand the men in their lives better. “Women have a massive influence on the way men show up in the world—by the things they say to men, by their reactions”—and when men have been hurt or made fun of, picked on or bullied, it’s hard to open up and be vulnerable. To Howes, understanding means awareness about fathers’ silence and stoicism, awareness about why husbands may get angry, why sons don’t look us in the eyes. Understanding leads to compassion, and Howes says that’s the start of a conversation that is about connecting rather than changing—and the start of a deeper relationship....read more. 24Life spoke to Eason about his journey and the tools he uses regularly to help himself, his clients and his family achieve what seems impossible....read more. Best-selling author Brendon Burchard shares life and body-betterment advice from his latest book. You offer a lot of advice, but what's your personal secret to staying inspired and maximizing life? Living a charged life has been on my dashboard since I survived a major car accident. In that crash, I was forced to ask the three questions we all ask at the end of our lives: Did I live? Did I love? Did I matter? It was then that I knew I needed to live a life that by the end of it I can say ‘Yes’ to those questions. Why do you think that despite all we know and all of our tools for achievement so many are struggling? I think that becomes a very interesting question. In an abundant culture like ours, it’s not that we don’t have what we need, it’s that we aren’t using our human drives for something more. My argument in The Charge is there are ten human drives, and they’re universal, part of the human condition. And if we understand what those drives are, and we activate them more intelligently and strategically, then suddenly, our life comes back to us. I think the one thing everyone wants right now is more life in their lives! In your opinion, peak performance isn't really the best goal, right? There is a night and day difference between peak performance and high performance. And I’ll actually argue the majority of people don’t want peak performance. I personally don’t want peak performance, and I don’t want peak experiences. I don’t want my life to be a yo-yo of major ups and major downs. There’s always another side to every single peak. We want to feel fully-charged on a continual basis. My argument is high performance really comes down to understanding and mastering four different areas of your life: your psychology, physiology, productivity and persuasion. When you actually have the ability to master these areas, then you’re going to be the highest performer out of anybody....read more. DON’T CONFUSE DISTRACTION WITH SPIRITUALITY. We want to be loving, we want to be present for our men, our women, our children. We’re recycling, we want to shop in a socially responsible way. We want some form of contemplation. Your spiritual growth becomes another to-do list. … But to-do lists create anxiety; they are about production and approval. We replaced some gods with new gods, but our new gods were wearing black stretchy yoga pants. And they looked way hotter, and they’re talking about cooler things, as opposed to be heavily dictatorial. But really, there’s still this achievement that we’re going for … and we’re actually kind of going crazy and burning out because of it....read more. Yearn To Learn & Build Your Brain For The Rest Of Your Life. Are You Fit For Office? Resolutions Redefined: Why You Need To Rewrite Your New Year’s Resolutions! Create a Class They Can't Forget! Move Along, Mudslingers, Move Along. What Makes a Group Ex Instructor Truly Great?